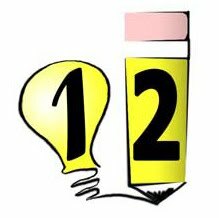 12Writing frequently features links on our Facebook fan page, but why? This is the first of hopefully many future reviews to come that explain what we find so interesting about the pages we share and how we approach these writing resources for ourselves as writers. Not every page is perfect, but many pages are providing amazing information. We hope these reviews will help you get the most out of our featured Facebook posts and be a site for continuing discussion on the writerly subjects that matter most to you. First of all, click here for the featured link! Because it’s good advice. Simple as that. Giving yourself permission to write trash ensues that at the very least, you’re persistently writing. The more you write, the more experience you’ll gain in discovering what you want your writing to be and how to get the words just the way you want them. Give yourself the freedom and go with it! Watching soap operas or scifi movie marathons isn’t a waste of time; it’s research. You’ll begin implicitly recognizing genre tropes and craft patterns that you can try in your own work. It’s important to remember that, while watching actors can give you an idea of how people move and speak, it’s also another artist doing their interpretation of a character and not the characters themselves being "real people". This brings us to the eavesdropping habit. Again, this is very similar to suggestion two, only you’re going right to the source for observations and you probably won't find genre tropes. Do this considerately. Observing people in public and copying down bits of conversation seem to be acceptable practices, but be wary of violating someone’s personal privacy by using real names or sensitive information. The five minute timeouts suggestion was some of the best advice I’ve read recently. I don’t know about you, but I put off writing so I can attend to issues of the moment all too often. This step proved to me that excuses are excuses and any five minutes can be five minutes more writing than I was getting done before. And of course, rewriting is a fact of an engaged writing lifestyle. If trash writing is the first step, revision is all the steps you take up until you call a piece finished. Revision generally takes even longer than initial writing does and so I'm glad that this crucial habit of rewrites made the list. Something to consider with this article is the emphasis on success and winning. Success is a term to be defined on a personal level. My success might mean publishing a book of poems. Your success might mean writing 350 daily for the rest of your life. The goals are different, so the paths to winning those successes will differ too. Also, habit helps, but the creative writing market is a competitive one. Factors such as networking, publisher selection, and funding will affect whether or not great writing is a success. Additionally, great writing is a term that publishers and editors define differently, much like writers should define success for themselves. This article offers some fantastic habits that will mold you into a further developed writer if you stick with them, but it is not the end-all plan for monetary or recognized success. Read this article for the betterment of yourself as a writer, but don’t email Dr. John Yeoman when your chapbook doesn’t sell. It’s good advice, but it’s up to you to make the most of it.